Corrosion Protection Even before you drive your new RV off the lot, its metal begins the natural process of corrosion. Rust is formed when iron, oxygen and water combine to create an electrochemical reaction. Remove one of those elements, and you can effectively prevent corrosion. Give your RV a fighting chance against the ravages of corrosion, with the proven chemical science of Diamond Kote Corrosion Protection. Diamond Kote’s manufacturer-approved, water based chemical corrosion compounds utilize cutting-edge corrosion prevention science. The highly resilient formula penetrates into the areas of your RV where rust starts, keeping air and water out, and stopping rust before it begins. The Diamond Kote® Corrosion Protection program is backed by a fully insured performance guarantee. Call 902.566.1440 or Contact Us to book today! An RV is meant to be used, but accidental rips, tears or burns on your interior seating surfaces can be costly. With the Diamond Kote Rip, Tear, Burn Pro warranty, you are fully covered. You pay absolutely no deductible, and we take care of the repair and costs for you. It happens every season – when you move out of your RV, the mice move in. Slam the door on rodent invasion, safely and effectively, with Diamond Kote’s New Mouse Shield Pro undercoating. Mouse Shield combines a durable, automotive grade undercoating with a highly concentrated, all-natural ingredient that drives mice away. 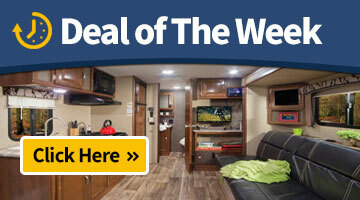 Mice cause the most damage by chewing their way into your RV and through its wiring. Mouse Shield is a permanent, non-greasy, non-sticky barrier that smells and tastes repulsive to rodents. It actually seals the most common mice entry points, stopping them at the pass. The Diamond Kote® Mouse Shield Pro program is backed by a fully insured performance guarantee.